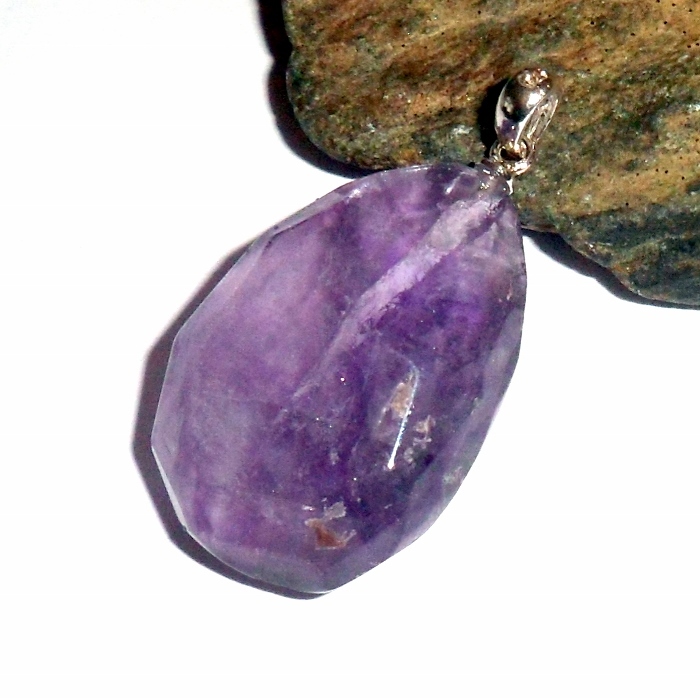 A faceted fluorite nugget gemstone set on a sterling silver pendant. Fluorite is a gemstone that enhances mental clarity, decision making skills, and purification of the mind. 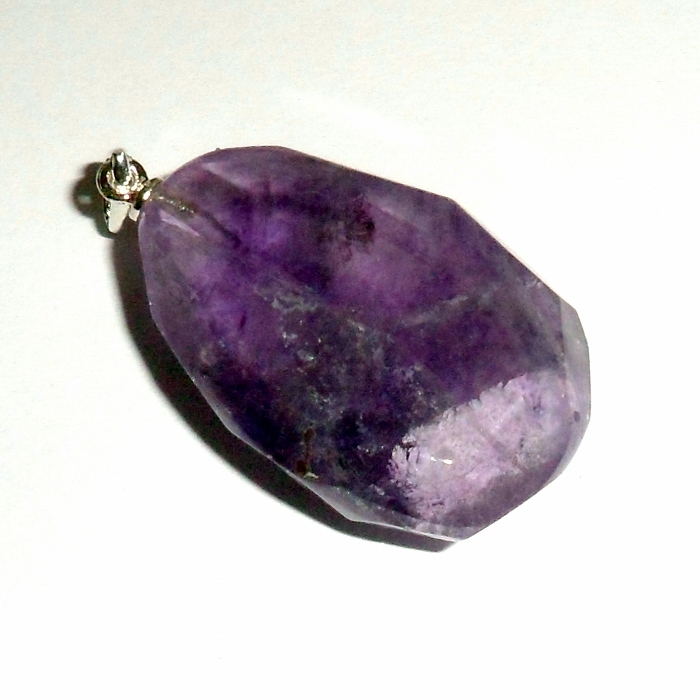 Fluorite aids in focus and concentration, ridding you of confusion and negative thoughts. 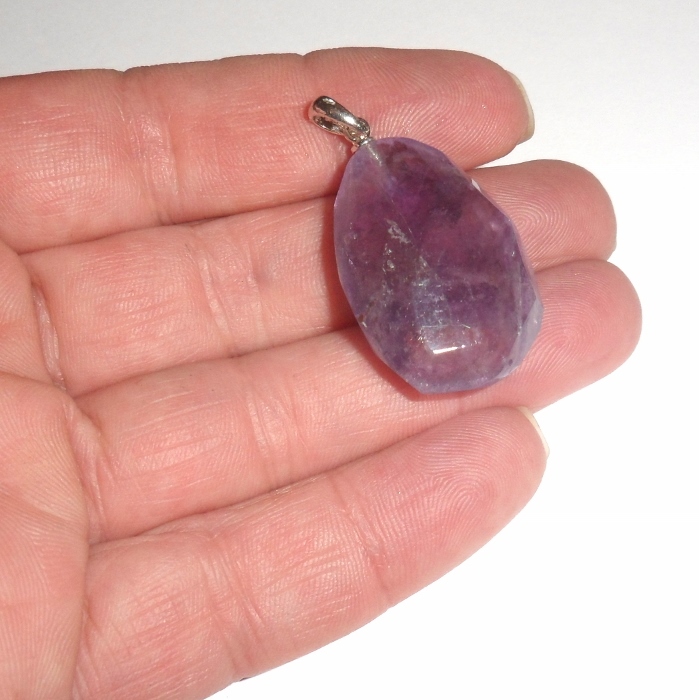 Overall pendant drop length 1 1/2 inches.